The conversation explored Uhlirova’s curation of the Fashion in Film Festivals, especially focussing on the latest edition, Wearing Time: Returns, Recalls, Renewals, which took place in Miami in January 2016. Co-curated with the eminent film scholar Tom Gunning, the festival explored how film and fashion together evoke and reflect on time. The festival asked what concrete manifestations of time fashion and clothing enable: What kind of chronologies and histories? Origins and memories? Echoes and shadows? Projections, visions, or premonitions? From the earliest trick films to the dance numbers of contemporary Bollywood films, cinema can magically make clothing transform, appear, and disappear – but also, importantly, re-appear. Fashion in film has always been an important sign-posting device, deployed in multiple ways: to guide the viewer through time, to confuse, deceive, and disorient them, or even to dress the wounds of time. 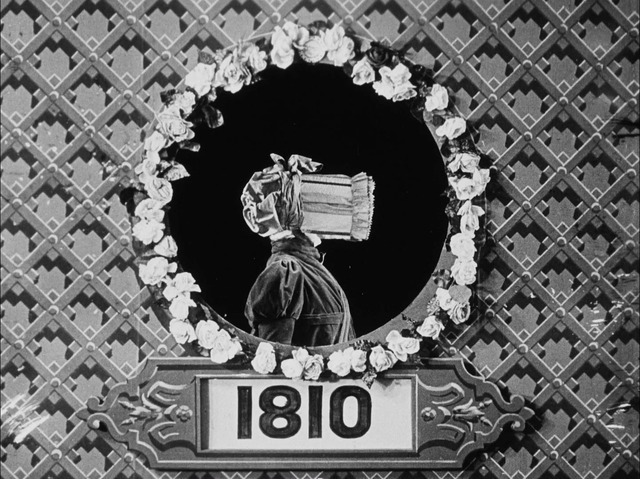 The diverse historical and contemporary films include commercial cinema features, documentaries, artist films, newsreel items, and fashion films. Marketa Uhlirova is Senior Research Fellow at the Central Saint Martins, UAL, and Director and curator of Fashion in Film research project, an interdisciplinary exhibition, research and education organisation sitting between the worlds of fashion, film and art. Through its major biennial festival programmes, exhibitions, publications, conferences and events, Fashion in Film promotes debate and collaboration among curators, historians, archivists, fashion designers, artists, filmmakers and writers to explore the intersections between the moving image and clothing, and more broadly, questions of design in film.